We did some tracing, and Reed matched letter sounds to some pictures from the story before we left for gymnastics and a lunch date. Tuesday, we cut out caps, counted them onto a monkey, and copied the progression from the story. We introduced some coins, practiced identifying them, and then purchased caps from one another for various amounts. Playing salesman was a hit and was the activity of choice with Daddy Tuesday evening. 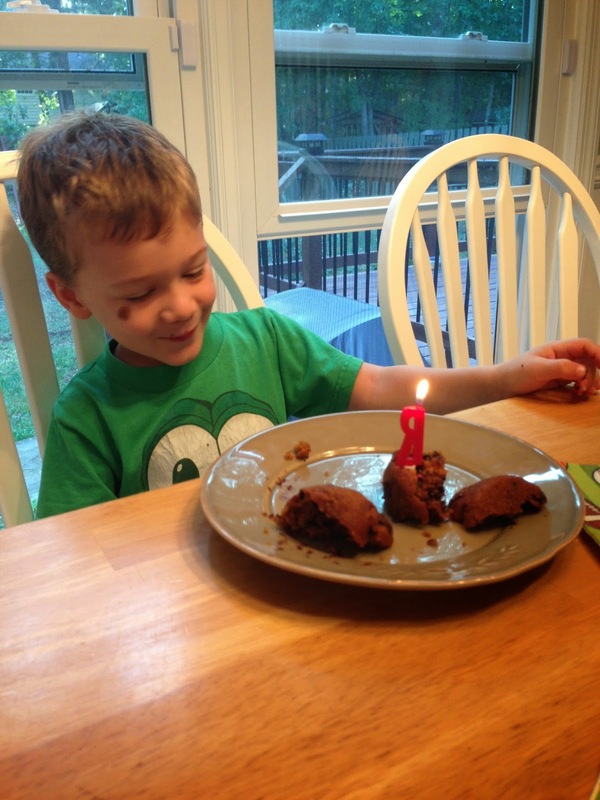 Wednesday was Reed's half birthday! After breakfast and chore charts and the morning board, we read and we talked about the saying "Monkey See, Monkey Do." We played some more with coins, and Reed did a little reinforcement sheet with some counting/ cents values. We also played with some monkey cut outs; Molly's had shapes and Reed's had ABC's. First, Molly identified her shapes while Reed put his capital letters in order. Then they each (succesfully!) matched bananas to their monkeys-- Molly matched corresponding shapes and Reed matched all the lower case letters to the upper case letters. Yay! 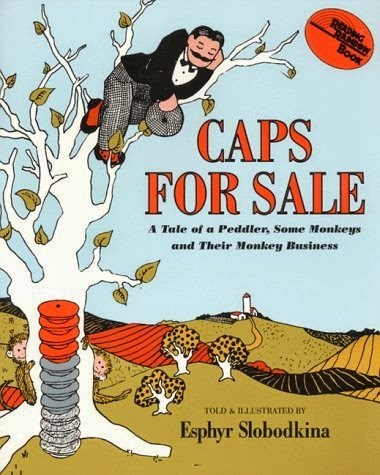 Molly: Monkey take his caps! Reed: There once was a peddler. He sold caps. And... um... He says, "You monkeys you! You give me back my caps!" He shakes his hand. He stamps his feet. And says, "You monkeys you! You give me back my caps!" He stamps both his feet and shakes both his hands. He threw his own cap. All the caps from every monkeys head came flying down. Then he stacks his own-- gray, brown, blue, and on the very top a bunch of red caps.